HEY, HEY, HEY! HO HO HO! 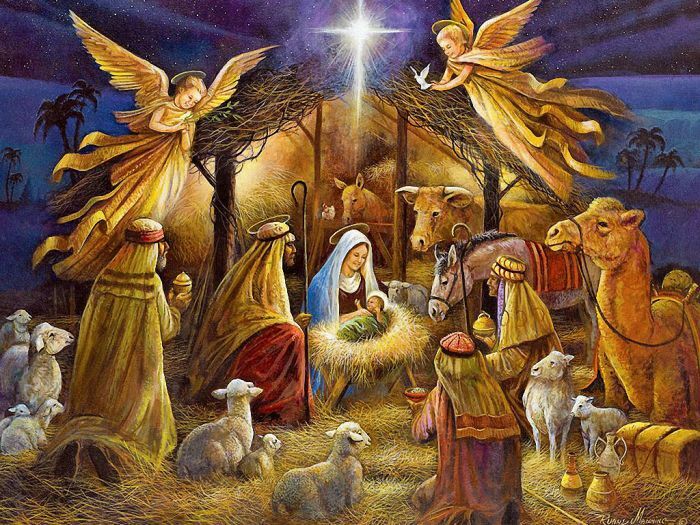 However, though Christmas is for anyone who wants to celebrate, let us never forget the real reason why we celebrate, okay? It’s CHRISTmas! I’m not against any Christmas figure, but there’s a reason it’s not called “Clausemas”, or any other “-mas”. If you’re not Christian, that’s okay. No real religion is bad religion. Practice the good that yours preach. If it doesn’t teach you any good, then what are you doing in it? If you have no religion, then celebrate humanity. It doesn’t take a lot of effort to be human, but it does require effort from you. Please, always stay positive and keep smiling. Never let depression rule you. It’s a debilitating disease — the longer you nurture depression, the more it will debilitate you. It could be clinical, yet it doesn’t mean you should let it rule your life. It’s hard, we know and we understand, but ultimately, it’s all up to you. Many have succumbed to this deadly affliction; don’t be part of the statistics. We love you. You are important to us. Maybe we are just not good at showing it. This world is not an easy world to live in. It is up to us to make things work the way we want them to work. Just be happy for the world even if the world seems to smile downwards. Give and expect nothing in return. Spread love and joy and you will feed the hungriest of hearts. Christmas was okay, New Year’s was wonderful, so yeah, the holidays were better this time. Thanks, Lani, and HAPPY NEW YEAR!!! Merry Christmas, J. Gi. Have a wonderful day! 🎄 Christine (CE). It was wonderful enough. Best part was spending quality time with the hubby…Thanks, CE. HAPPY NEW YEAR!!! We generally are allowed vacations this time of year, often, from Christmas to New Year’s. But in companies like ours, we are allowed only 2 (3 is already great) days for Christmas, then we go back to work, then allowed again for New Year’s, then back to work. PFFFT….